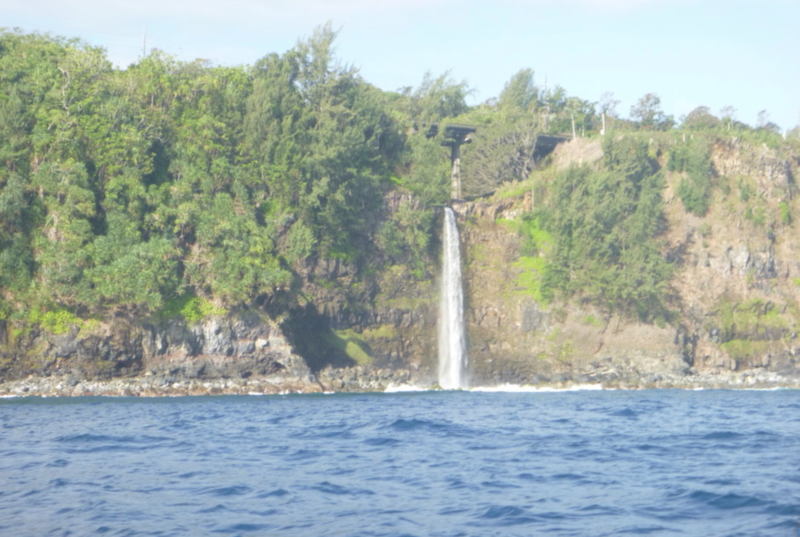 In January 2015, the Windward Planning Commission approved a Special Management Area Use Permit for the Shropshire Group, LLC, for a property located along Highway 19 fronting Mile Marker 19 at Waikaumalo. 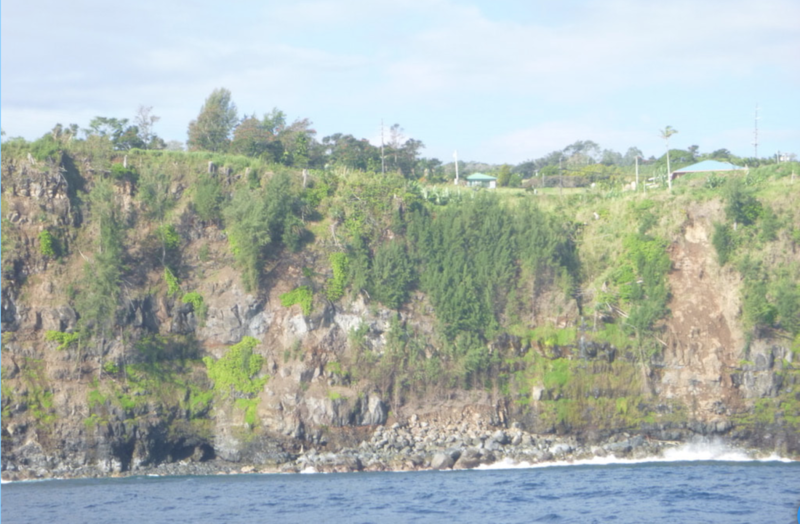 ​Community concerns expressed prior to approval related to impact on the view plane, insufficient space between the highway and the cliffs, contamination from the former gas station/garage on the site, and cliff instability. 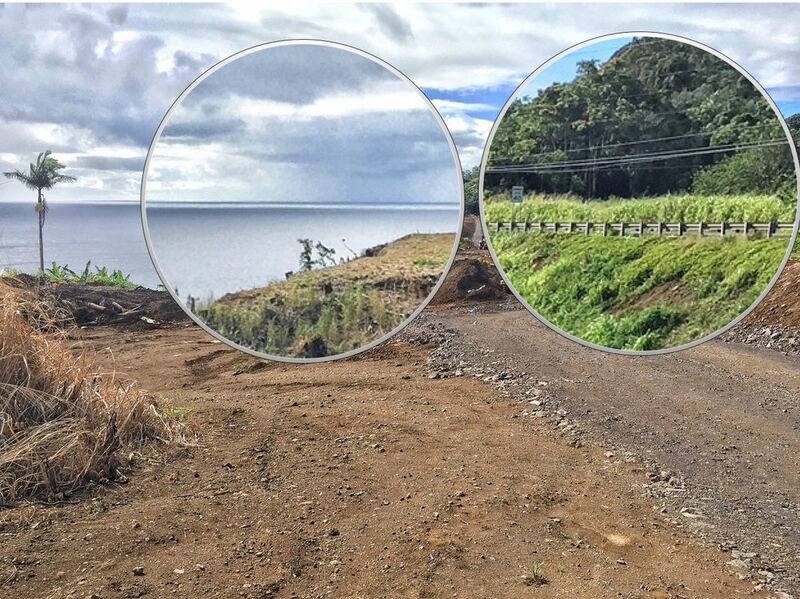 Photos taken by private pilot-photographer on October 21, 2018 of the subdivision at the Mile 19 Marker along the Belt Highway. Photo taken by Robert Nishimoto, Ph.D. in March 2018 looking back at the highway bridge at Mile Marker 19 on the Belt Highway in Ninole. 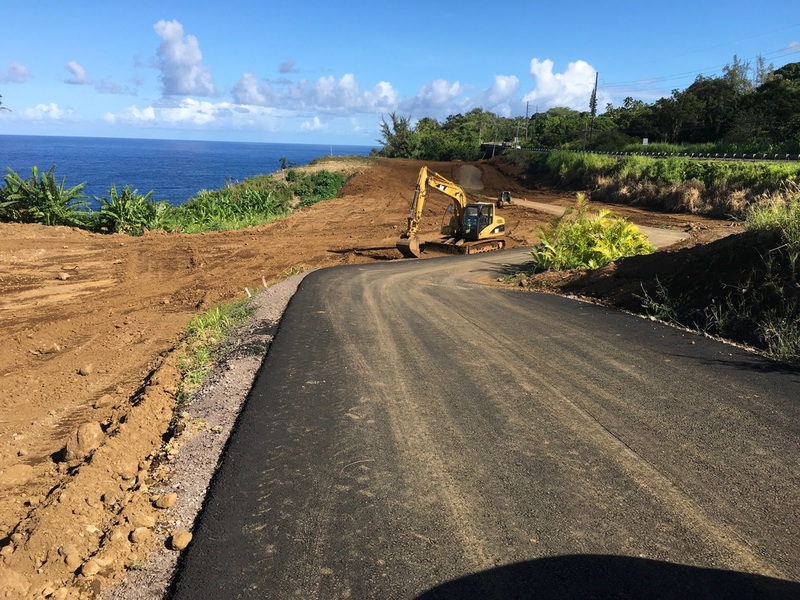 Photo taken by Robert Nishimoto, Ph.D. in March 2018 looking back at the subdivision being developed at Mile Marker 19 on the Belt Highway in Ninole.